Auburn Hills, Mich. - At Chrysler Group, the SRT (Street and Racing Technology) brand team maintains its successful formula to design, engineer and build benchmark American high-performance vehicles. The all-new SRT Viper made its long-anticipated return to the high performance sports car market in 2013. The fifth generation of the iconic two-seat, American-built supercar has been deliberately evolved to incorporate superior craftsmanship; a host of new, performance original technologies and ergonomic improvements while respecting its visceral legacy of outright performance. The SRT Viper is joined in the 2014 SRT vehicle lineup by the Chrysler 300 SRT, Dodge Challenger SRT, Dodge Charger SRT and Jeep® Grand Cherokee SRT. High horsepower and torque ratings are a prerequisite in the high-performance automotive world. SRT engineers work to extract maximum power and fuel efficiency from each engine regardless of displacement, to meet the demands of today’s performance customer. Proven transmissions reliably put the power to the pavement, while at the same time incorporate the latest fuel-saving technologies. Every SRT vehicle is built to excel on both road courses and road trips as a result of countless miles of real-world testing to ensure masterful handling on complex circuits and city streets alike. Each tire and wheel package is carefully selected to guarantee any SRT vehicle can hold its own on and off the racetrack. Auto enthusiasts can spot an SRT vehicle from far away. So designers and engineers work together, whether in the studio or the wind tunnel, to ensure each performance target objective is met, while maintaining specific brand styling cues and character lines. All the design elements on the exterior are functional. Since SRT vehicles are drag limited, they are designed to be stable at very high speeds with a goal to achieve the least amount of lift as possible, while also being efficient at touring speeds. 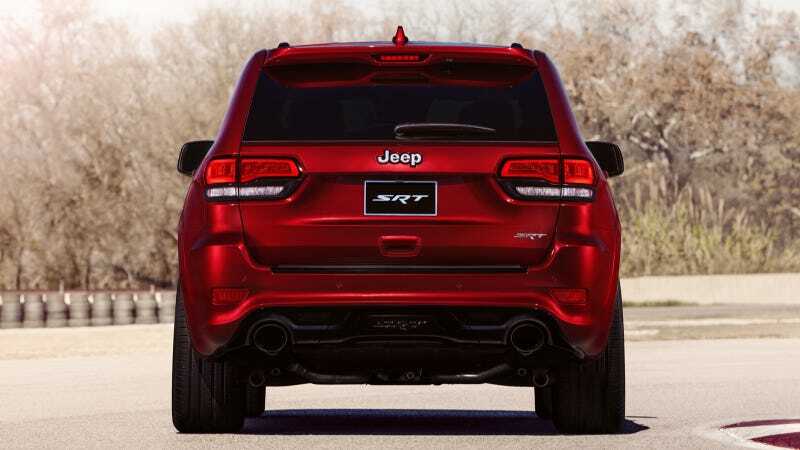 Formed in 2002 as one of the industry's leading in-house automotive performance groups, SRT’s original premise, which is still followed today, was to create the Chrysler Group's boldest, most distinctive vehicles that delivered benchmark performance. Original team members were recruited from the established Dodge Viper development team that had already been building the ultimate American supercar for more than 10 years, along with Dodge motorsports and the Mopar engineering teams. The 2003 Dodge Viper SRT10 was a natural fit to carry the flag as the first official SRT vehicle with its all-new, 500 horsepower 8.3-liter V-10 engine. In June 2011, SRT became a separate brand within Chrysler Group LLC and Ralph Gilles was appointed President and Chief Executive Officer – SRT Brand and Motorsports.